Myles Little is a Senior Photo Editor for Time magazine, where he has worked since 2009. 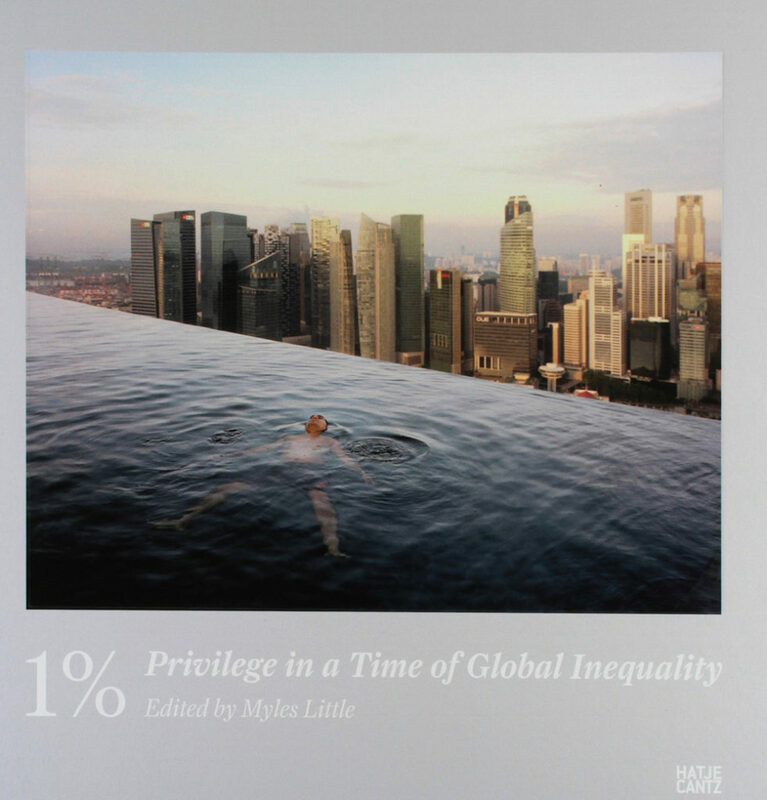 He is editor and curator of 1%: Privilege in the Time of Global Inequality published by Hatje Cantz in 2016, and presented in over two dozen museums and galleries internationally. He lectures widely on photography and journalism at such venues as the International Center of Photography, Columbia Graduate School of Journalism, Bard College, and Intergallery in Beijing. This interview took place via Skype on January 5, 2016. MAD: You went to Savannah College of Art and Design as an undergraduate. ML: I got a Bachelor of Fine Arts in Photography in 2008. I was going in without much knowledge of photo history or the exact kind of photographer that I wanted to be but I quickly fell head over heels in love with photojournalists and documentary photographers. People like Eugene Richards, James Nachtwey, with my taste kind of evolving into new areas like Lauren Greenfield or Martin Parr, with their hard edged, satirical, critical takes on the wealth of the Western world. I was also in the more conceptual approaches to documentary like Andreas Gursky. I spent a lot of time in the library, probably more time in the library looking at photos than taking them. MAD: Were you making documentary photographs at that time? ML: I self-assigned several documentary projects around the city. One on the nightlife culture, the sort of seedy underbelly of the city, I don’t think they were particularly good. I had a professor who taught photo history and I was absolutely in love with his lectures. I still remember certain phrases that he used; specific slides on particular days are still in my memory. All these sort of signs, which I was missing at the time, suggested a different career path for me than making photographs. A career path I’ve sort of joined more recently. MAD: You loved photographs, what they meant and what they could be. You were attracted to the culture of photographs more than making them yourself. ML: I was in art school so making images was part of the deal. I found that at its best, being a street photographer, being a documentary photographer, could be thrilling, could be sort of a total rush when you hit that moment of permission, explicit or implicit permission to be at an event and to document it. But at worst, it could be incredibly nerve racking. I often felt very anxious and unwelcome, and I would begin to question the value of the work and whether I had the right to take photographs in the first place. These are questions a lot of people have. MAD: Right, questions of ethics and representation. ML: Yep. And also sheer, simple social anxiety (laughter). My hat is tipped to photographers who can sort of find a stillness within himself or herself in the midst of that sort of chaos. And become simply an eye and lose themselves to find the image. MAD: James Nachtwey speaks to that very eloquently in the film War Photographer. ML: Yeah. There’s a great stillness, I think, in a lot of great imagery. That’s something that appeals to me maybe because I don’t have it—I don’t find it within myself. It’s a paradox, a great presence and an invisibility of the photographer, which I always admired. MAD: So you moved away from practice to being involved as a kind of thinker about images? When was that transition? Did that happen while you were at school or after? ML: It happened probably on graduation, finding this shocking new responsibility called paying rent—very inconvenient. And so I moved back home to my parents’ house for about eight months and I applied to literally hundreds of jobs — newspapers, photographer jobs, photo editing jobs, retouching, assisting, etc. And this was just before the financial crisis, not a good time to be doing that. And I got nothing. I got one offer at a small newspaper in the middle of nowhere. Eventually I just moved to New York and luckily, almost by accident, I got a job as a photo editor at Condé Nast at one of the magazines within two weeks of arriving. MAD: Did that come from just knocking on doors, so to speak? Or had you sent them material before and followed up? ML: I had a few internships in—when I was in school—at National Geographic Adventure magazine, which used to be their sort of lifestyle, outdoor magazine. And it was a full time photo editing internship at a print magazine in New York for one summer and it was really very helpful. Sabine Meyer was the boss and my first mentor and that really got my foot in the door. I did some other internships, I did one at Magnum in the photo archives. I did one with Mary Ellen Mark in her studio. But the National Geographic was a hands-on, practical, experience of how a magazine works. And finding your editorial choices being reflected on a national stage every month was thrilling. And yes, it was (and is) working with photography with a bit of a distance. But I am working with many different kinds of photography, especially at my current job as a photo editor at Time. I work with still life photographers, portraitists, and photojournalists. So it’s nice to have a diversity I would not have had, had I continued down my track of shooting photos. MAD: I assume, because of your education, as a maker of images, and also knowing something about photo history, you have a pretty good sense of how style, practice, approach, and philosophy of image making can affect the way an image is made and how it comes across, right? ML: Yes, I love photo history. And I try to bring it to the pages of the magazine as much as I can, I’ve put Mike Disfarmer in the magazine, I’ve put An-My Lê. I put old Life magazine in recently when I did a cover of the magazine about the science of exercise. MAD: I was just looking at that, so it’s stroboscopic stuff from Gjon Mili? Did he study with Harold Edgerton? ML: Exactly. Whether it was studying, or working with, I’m not sure. Mili brought stroboscopic photography into an editorial, and even fashion, context. I have a couple of the printouts on my wall in my living room, that’s the benefit of working at Time… you hit “command-P…” (laughter). MAD: You have been Senior Picture Editor at Time since sometime in 2015. And much of what you involves deciding what the cover image should be and then arrange to make it happen. ML: Yes. I am one of three senior photo editors, and then there are the director and the deputy director, Kiera and Paul. So yeah, I oversee the front of the magazine, I oversee an intern, and who does small daily news stories, and stories at the front of the magazine. But the real meat of the job is features and cover. It’s so exciting to work on a cover. Even at a time of a lot of skepticism of the media, and of declining budgets and declining relevance, the cover of Time magazine does have reach. It’s a difficult thing to do, to distill a complicated story into an extremely legible image. The cover sells on the newsstands, and has to act as an advertisement for the magazine — something that can be glanced at and understood in three seconds. MAD: It has to announce its relevance and importance immediately. ML: Yes, unlike the cover of the New York Times Magazine, which is a fantastic magazine, but does not sell on the newsstand, it does not need to have the punchy and graphic legibility. And you know, there are a lot of cooks in the kitchen, and there ought to be. 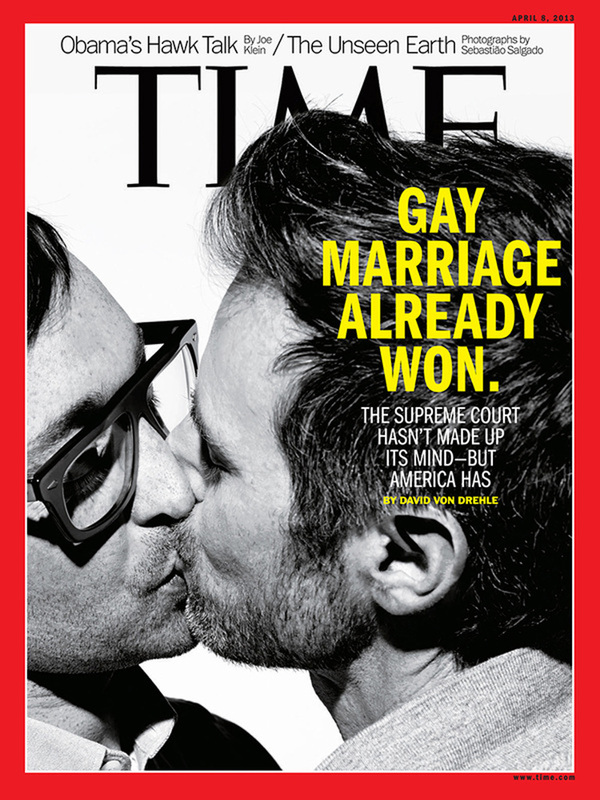 On particularly sensitive topics—we did one on gay marriage a few years ago. We literally grabbed people in the hallway, and said: “Hey, what do you think about this? Is it appropriate? Is it respectful? Or is it offensive.” But I would say that the meat of the job, the core of the job is reading and distilling the story in your own mind, getting to the kernel of the story, the animating spirit, and then cross-referencing that with your big mental rolodex of photographers who are specialists, the exact one person who shoots that subject in that one particular mood which fits with the story. MAD: Being from Baltimore, I wanted to ask you about the Devin Allen cover, which was taken during the Freddie Gray uprising in the spring of 2015. ML: I didn’t work on that—but I am familiar with it. MAD: We call the city “Smalltimore” because is seems that we all know each other and that cover was significant for the city. I mean obviously the Freddie Gray unrest was a big deal and still is a big deal here. People’s relationship to the police here continues to be an ongoing discussion. But that particular picture appearing on the cover of Time was significant—for the city and for a generation of young photographers in Baltimore who have been covering subjects and people that the media have abandoned. 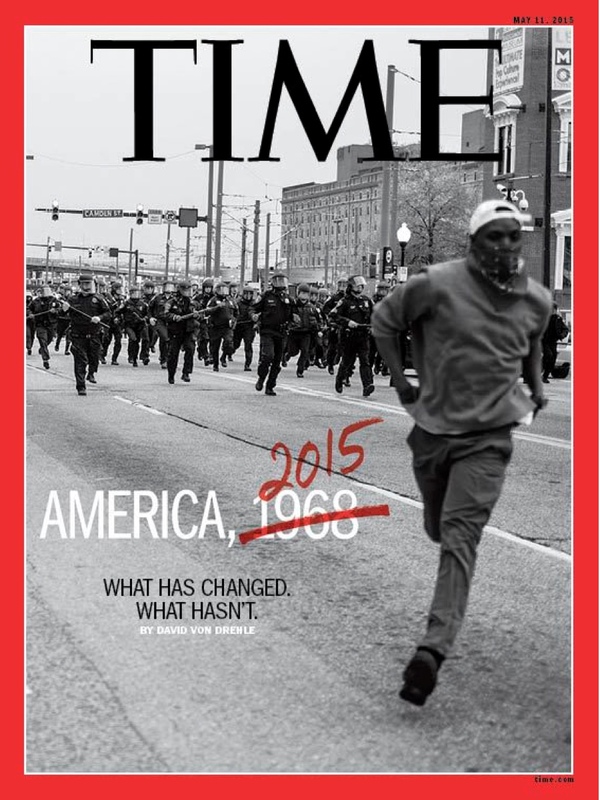 So when Devin Allen’s picture was on the cover of Time it was a validation of what was going on in Baltimore, but also a validation of young photographers who are not necessarily affiliated with big institutions or media outlets, particularly African American photographers. ML: I really am very proud of the photo editors—not myself—who worked on that and recognized his talent and found it important to give voice to a local, and who thought that there could be value in an unknown person who has their ear to the ground, as opposed to a parachuting-in, famous journalist, photojournalist. 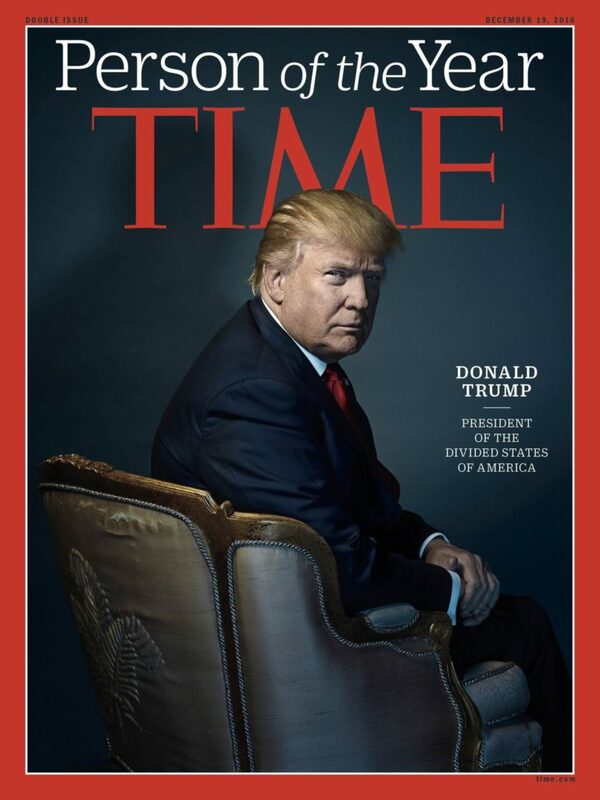 MAD: Time did the “Person of The Year” cover of Donald Trump and it’s a very particular image, and it immediately received all kinds of attention and elaborate readings, in terms of its subtext. 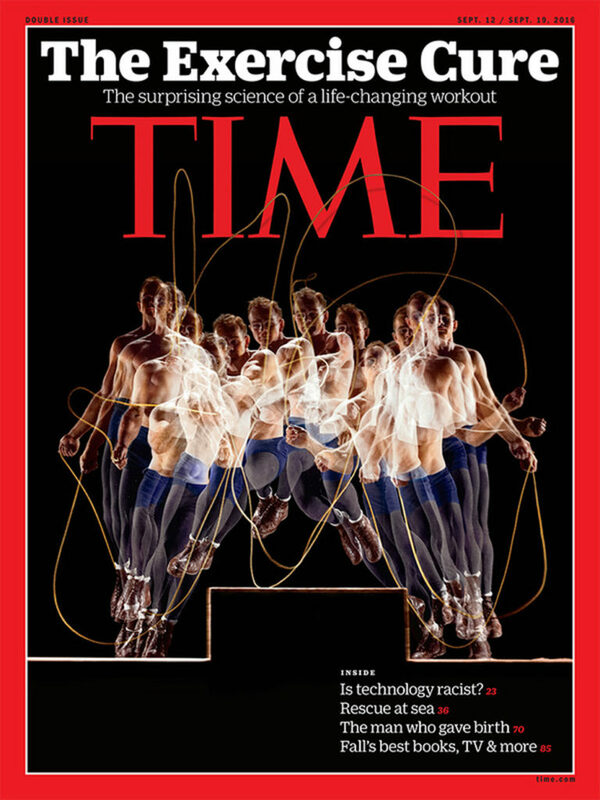 I’m assuming people at Time magazine were aware of how this image would press a lot of buttons, and in some ways the images does conveys a certain kind of ambiguity, without being overtly critical. There were a lot of interpretations of that image on social media. ML: I didn’t work on that cover. I read this piece, maybe in Tablet magazine, I don’t remember the author’s name, and it was sort of a point-by-point dissection, and I thought it was intelligent, the writer made some interesting points; he was talking about the frayed back of the luxurious chair, suggesting a puncture to this sort of glossy self-image. I don’t know whose chair that is, I assume it’s Trump’s but maybe that’s an attempt to suggest the sort of shabby-chic of old money. Who knows? In any case I’ll say that the image has a heaviness to it, a darkness. That being said, Nadav also shot President Obama for a previous Person of The year, and it was heavy and dark and had a lot of weight. I think that is a large function of his personality as a photographer, and his aesthetic and vision. There’s no question in my mind that Donald Trump is the Person of The Year, for better or for worse. He is influential more than anyone else. It’s not an endorsement, as I think the magazine makes quite clear. MAD: Can you talk about a cover you did recently which you thought was an interesting process from start to finish? ML: Sure. This wasn’t very recent, but it does illustrate something important about my working process. 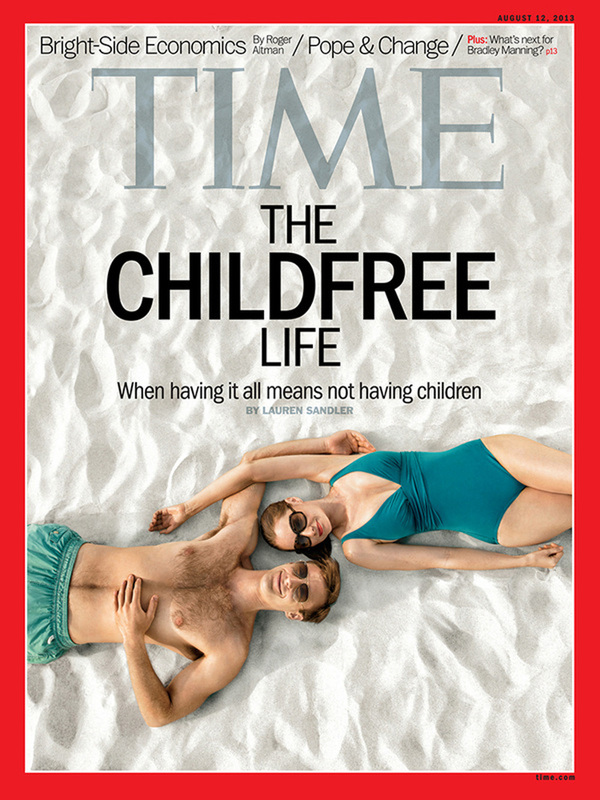 It was a story about the increasing number of couples in America who choose to not have children, and I was surprised to learn that it is at its highest rate since the Great Depression. What was really interesting was that the story was about body politics, finances, gender, and power — huge themes in our culture and our society, not just about individual choices. So I wanted a big artist to make something worthy of this new chapter in American history. And so I thought of Barbara Kruger, whose work obviously speaks to body politics, power, and gender, but also simply has a fantastic graphic sensibility. She coincidentally uses a lot of black and red, like our magazine cover, so I reached out to her. And that’s one of the really cool things about the job. That people will more often than not answer your emails if you contact them. And she made some sketches, and to be honest, it didn’t work. She was in Europe, we were in New York, and for whatever reason, and it wasn’t coming together. It didn’t have that punchiness, that clarity, and bite that her work often does. And so we had to apologize and decline. So I went back to the drawing board. I was remembering this photographer with a very Norman Rockwell aesthetic, this white bread, middlebrow American aesthetic. His name is Randall Ford. He’s really talented. He’s very L.L. Bean. In fact, he onetime did a shot-by-shot photographic replica of a 1950s L. L. Bean catalog. MAD: (Laughter) As an art project? ML: I think it might have been an ad job, but it’s, yeah… (laughs). He’s a magical technician. A beautiful craftsman of objects. Anyway, I thought it was just be sort of funny and dark and twisted to combine that white bread aesthetic with this very subversive new and non-traditional family choice. Just to see what happened. They said yes, my bosses said yes, and so we rented this beach house on Long Island. I woke up at 3 o’clock in the morning. We all drive out there. We had models, makeup, wardrobe, prop assistants, prop stylists, photo assistants, and Randall is up on a fifteen-foot ladder, looking down at the couple as they are lying on the ground looking up. We had a 30 by 30 foot gossamer scrim that’s bring held up by other assistants to sort of block the light, and we intentionally didn’t cast models for the second set of people in the photograph. There’s a childfree couple on the cover, who are enjoying themselves, not having kids, just relaxing. And on the inside they reappear on the left. And on the right is this miserable, burdened family with three kids in tow and this mountain of ridiculous toys and no one is enjoying themselves. But we didn’t cast models for those people. So I literally had to run up to strangers on the beach, out of breath, and I said: “Hi, I’m Miles, do you wanna be in Time?” And they just sort of looked at me and said, “Yeah, okay, sure!” So, in the final image, which you can see on my website somewhere, the father of this fake, unhappy family, is our prop stylist, dragging this huge carton full of ridiculous toys. And then his wife—quote unquote—is a random woman. And then the two kids don’t know each other. The entire image is Photo-shopped, and it’s clearly labeled as a photo illustration in the print magazine. So I guess that example shows that not only am I interested in past visual history, but also how the mechanics of actually making something like this happen. MAD: I think people forget, I mean people talk about digital manipulation of photographs today, that they are less trustworthy, etc. But if you know the history of photography, you know that image manipulation was born with the medium. I’m thinking of, Henry Peach Robinson and his image “Fading Away,” which is essentially a theatrical death scene. The image is constructed from five separate negatives. And he was very open and proud of that. He thought that this was the future of photography — a combination of realism of photography and the elegance and theatricality of painting. Despite the fact that he was very out front about it being a constructed image, that he had essentially hired actors, there was the criticism “Oh well, it’s manipulated, and we don’t believe it,” or people felt like it was intrusive, because it had that reality of a photograph, people had the sense that the photograph was intruding on the private grief of a family. ML: I think the reality of a scene is compromised any time an image is made. The very act of photographing is is an art of exclusion, choosing and prejudice. Picasso said, “Art is a lie that shows us the truth” or something like that. The rules of journalistic truth are arbitrary. While we do need them, we need to recognize that they are arbitrary. We should be up front about how we must maintain them but all the while understanding that they are imperfect. MAD: I wanted to talk to you about your curatorial projects, and your exhibition and book 1%: Privilege In the Time of Global Inequality. The book is introduced with a short essay by Geoff Dyer in which he quotes the Indian photographer Raghubir Singh, who observed that the history of documentary photography could be described by the phrase, ‘the abject as subject.’ In that light, whether we are thinking of Lewis Hine, Walker Evans, Dorothea Lange, or Sebastiao Salgado, the list goes on and on—there is an idea that we have the right to view other people’s tragedies and that there is an ennobling effect on the viewer, that somehow the very act of viewing confirms our humanity. Much of documentary turns it attention on those who are facing terrible conditions. And there’s good reasons why photography pays attention to that. And I think generally the intentions are good, based in a kind of altruism. But it does become a kind of trope, where viewing other people’s tragedies becomes part of our visual habit. In your project you try to turn the camera around, away from those who don’t have, toward those who have a great deal. It’s an interesting challenge, I was thinking about Jim Goldberg’s Rich And Poor. Even a cursory review of that project will suggest that the rich are much more guarded and protected. Both in terms of where they are living, but also in terms of how they present themselves. They are much less vulnerable, and there is a sense that they are harder to reach, even if there are sometimes cracks in the façade. ML: You’re absolutely right. The wealthy are guarded; the difficulty of access was something that I came upon constantly in making this book. In fact, I had to rely on metaphor and suggestion, to get at a truth that is denied to us otherwise. 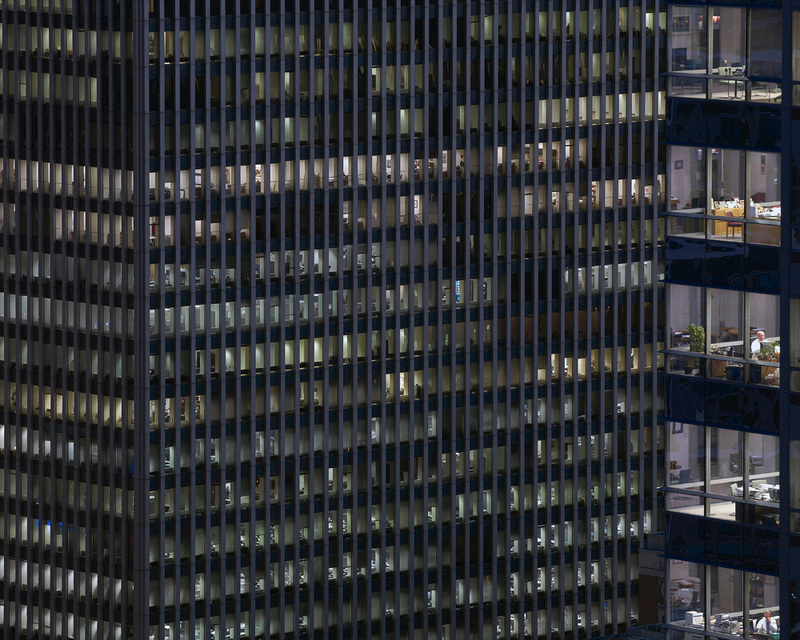 For example, looking at the image of airplane trails at night over New York City, this sort of very thin, silvery web, an interconnecting web of privilege, hopscotching around the globe, between islands of wealth, while everyone else is sort of trudging through their daily lives below. 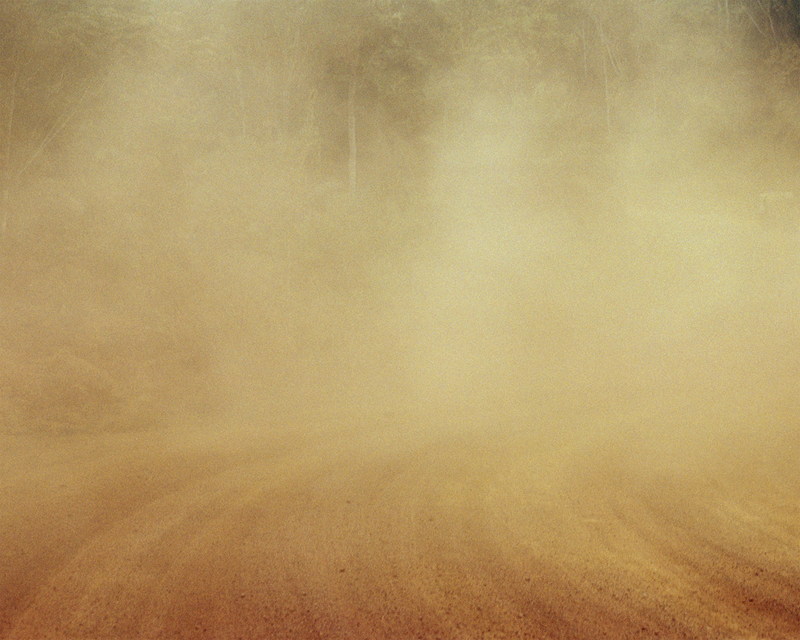 Another image by Sasha Bezzubov is simply a cloud of dust hanging over a logging road in Gabon. A golden evaporation which is immediately preceded by this image of a golden, jaw- dropping opera house in Monaco which is a beautifully crafted, seemingly-permanent shrine to privilege, leisure, and entertainment. So, yes, metaphor was needed. It seems that hacking has sort of taken the lead on truly uncovering information about the privileged. The Panama Papers didn’t make nearly as big a splash in America as it did in Europe, but was hugely important in giving us a look at how money works. How the rich play by different rules and are protected, while the poor seem to give it up at every opportunity. It’s expensive to be poor. MAD: I can imagine that in assembling 1%, you considered a lot of other images. I don’t know if you can speak to this at all, but was there an image or series of images that you wanted to include but could not for some reason? ML: There were many. This exhibition and book are not the end-all, be-all statement on privilege, whatsoever. It’s deeply indebted to many, many people who come before me. For a variety of reasons it’s excluding a lot of very worthy people who are working today. I needed it to be visually cohesive so that it would feel strong and powerful the way that privilege does appear to us. I needed there to be no chinks in the armor. And the visual way of suggesting that, in my mind, is by making everything color. By making everything horizontal. By making everything medium or large format. By making everything sort of calm. A little removed. A little “cool” in its composition. There are no tilted horizon lines, for example, or motion blur. There were incredible images by very worthy photographers because they were black and white, or 35mm. But also, I wanted to keep it pared down. I wanted it to be concise. I was trying to not repeat things, all in the service of this idea of refusal, of exclusion, which I found pertinent to the theme. I read a great book by Chrystia Freeland called Plutocrats, and it maps out the 0.001% of today’s world and talks about things that I wouldn’t have thought of otherwise. Things like technology, things like the high-tech revolution and its impact on inequality. Things like higher education. Had I not done readings like that, my book would have probably been more fancy sports cars and fur coats. Another reference was The Family of Man by Steichen. MAD: Yes, you mention that in your text — discussing the optimism and universality of that 1955 book and exhibition in contrast to our more extreme and unequal time. ML: I was thinking about the categories and themes of human existence that he employed. I referenced them, not slavishly, but nodding to them by including topics like leisure, and work, which are clearly part of his project. MAD: It’s easy to be cynical about Family of Man, to be critical of its Pollyanna quality. But we forget that it came pretty soon after World War II. The global spread of photography in the mid-20th century and its centrality to the reporting of that war, helped to foster the idea of a global citizenship. One has to admire Steichen’s altruism to a certain degree. MAD: I think it would be very naïve to try to repeat it now, although commercial culture or commodity culture tries to do that all the time. The old Coke commercial is a classic example – “I’d like to teach the world to sing in perfect harmony.” It’s horribly crass. But your book does sort of have a global view without making a big point out of it. It’s just there. I’m just looking at a spread right now where maids are preparing the Kenyan household and the next image is a Cole Hahn display window in Chicago. 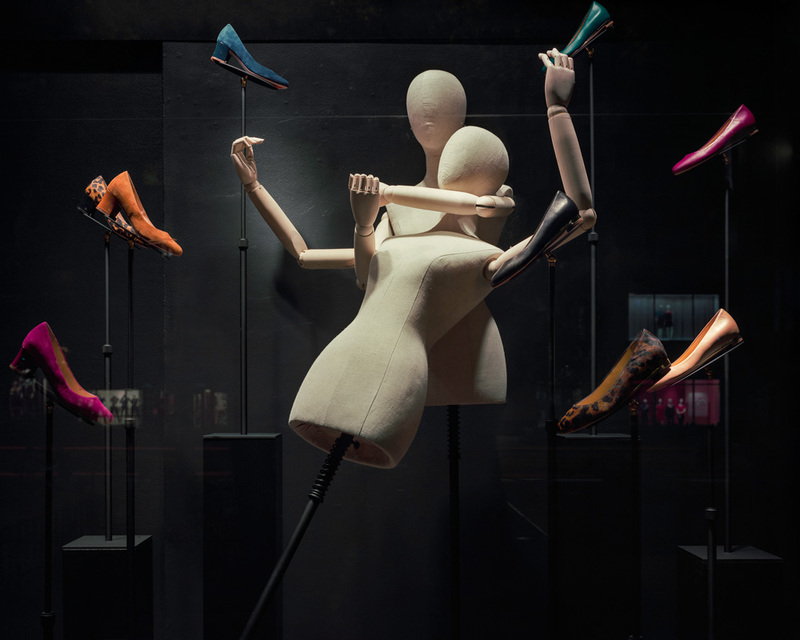 The images have multiple connections – gesture, and theatrical lighting, for example. But they are also connected by this idea of simultaneity of excess and materiality — that this kind of privilege happens everywhere. This is soon followed by an image in New York of the High Line. I mean everyone loves the High Line, it’s a popular place, but you look around, and you think, “I will never be able to afford living here. Or anywhere near here.” And it’s just a sort of garden for the wealthy. And we get to share it, in a way, through the largess of the city, but it doesn’t negate the fact that it has to do with this incredible level of gentrification that’s occurred on the West Side. ML: Including—I just want to say that major donors to the High Line construction benefited tremendously because they owned adjacent properties, which then skyrocketed in value. MAD: Before the Internet, before TV, when photography books like Walker Evans’ American Pictures or even magazines like Life and Look, were the main conveyors of photographic artistry, sequence played an important part in photographic meaning. You use sequencing to great effect in your book. You move from the High Line pictures into this sort of velvet- covered auditorium chairs at Harvard to the unbelievable private theater for that child who is jumping up in the air. And then that golden opera house appears. Next comes a double- spread of that golden dust, and then what is really amazing, is that you turn the page and there is nothing. There is a sort of blank there, which is a visual resting spot. Your sequencing is almost musical, it’s rhythmic, moving through these beautiful and powerful sequences that subtly address global inequality And it’s not just about making general, vague, generalized comments about global wealth, specificity is crucial. It’s this specific thing and place. This is texture, the quality, and the grain of our current reality of global inequality. ML: Thank you for acknowledging this. I was a little ambivalent about that blank area. MAD: Well, it made sense to me. ML: One of the great quotes from the book Plutocracy was from a CEO and he said, “I think my colleagues and I probably know our flight attendants better than we know our wives.” Another great quote in that book, from a different billionaire, “I probably have more in common with a fellow CEO in Cape Town than I do with my own countrymen.” There is an emerging class, which in many ways has a lot to recommend it. It is a very educated and very hard working group of people. To a large degree, today’s 1% is often 1st or 2nd generation wealth who worked harder for their money than those who inherited. But the book is not just a critique; in the design I wanted to acknowledge the allure of this world. I mean, who doesn’t want to be floating in some infinity pool in Asia in a luxury hotel? I think it’s important to be a little more nuanced in the critique. I mean, we’re not talking—I have zero interest in portraying the ‘Uncle Moneybags’ the character from Monopoly, the fat cat who is pure evil. MAD: You’re not interested in caricature. MAD: One of the things I was thinking about as well was Taryn Simon’s project, American Index of The Hidden and Unfamiliar. Her photographs also have to do with access. To paraphrase Arbus, the camera is a kind of passport, allowing us into places we wouldn’t otherwise have the opportunity to see. Simon requires an enormous amount of text for all her photographs, which is important to her. But in your book, you are really allowing the images themselves to be the storyteller. ML: Well, when you’re dealing with people of the caliber of the photographers in my book, you don’t have much choice. I have tremendous respect for these photographers, like Paolo Woods and Gabriele Galimberti, who did the cover of my book. 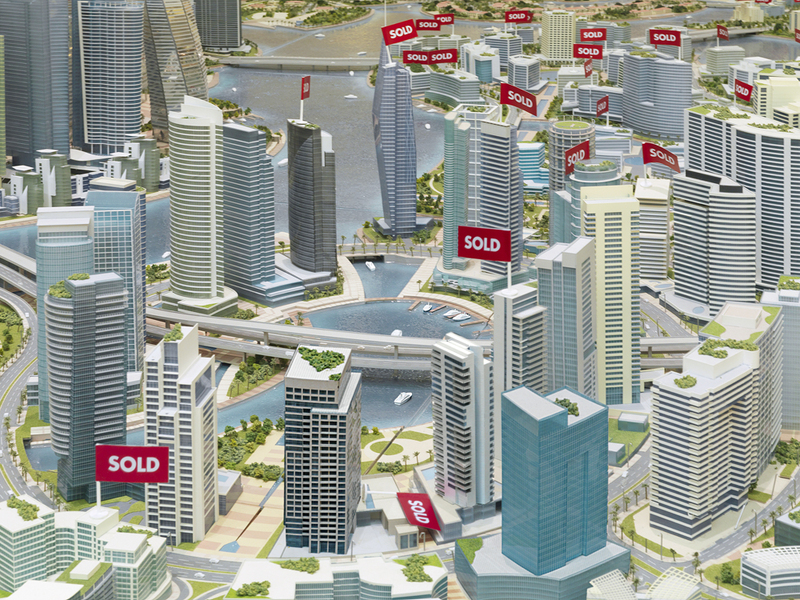 Their project The Heavens is a visual investigation of tax havens. There is nothing else like it, period. 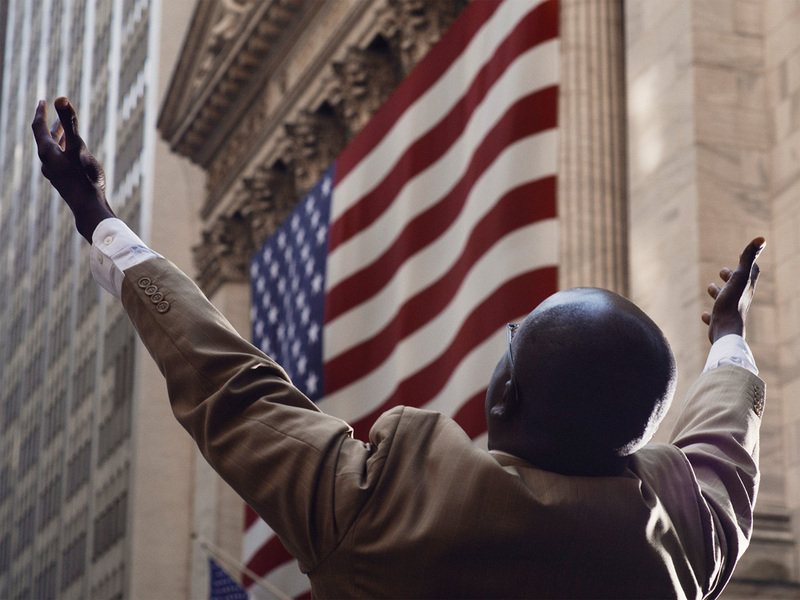 Or somebody like Christopher Anderson who makes the picture of the Wall Street preacher with his arms thrown up in what looks like a Temple and reminds you of Jesus who’s going to sweep the moneylenders. It’s an incredible distillation of the themes of human existence. I don’t think they really need to say anything. They say much more than the image itself. I was also toying with this idea of making this sort of glossy but impenetrable object to mirror the quality of the subject, the spirit of its substance if you know what I mean. So I toyed with the idea of not including any text, no captions anywhere. MAD: I wanted to mention one image, which is in some ways unlike others in the book. I assume it’s South Africa. 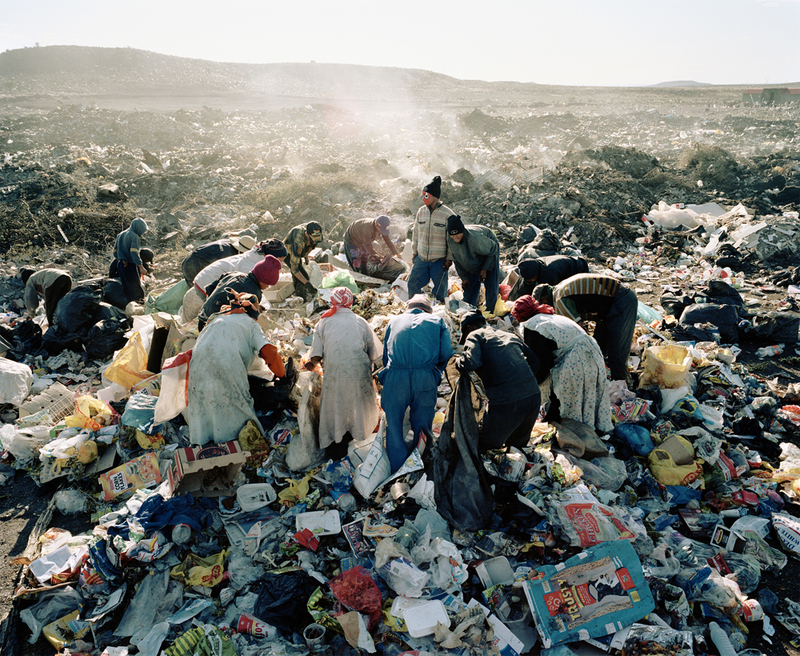 It has this sort of massive garbage dump with a circle of people, gleaners basically. And it’s such an extraordinarily beautiful image but it’s also disturbing, dystopian, and cinematic, in a sense. But also ritualistic, the way they are in a circle participating in this. It’s such a remarkable image. It suggests this kind of communal moment as well. Not necessarily conspiratorial, but these people are together in a way that they may be alienated laborers, but in that moment there’s a kind of sense of—I don’t want to say community—but a connection that is really powerful. ML: Wow, I love that. ML: No, I think a circle of people bowed together is suggestive. I didn’t pick up on that, honestly until you said it. And that’s something that’s totally missing from other images of figures isolated and separated within this post-capitalist scene of commerce. I wouldn’t have thought of isolation versus community, I love that. 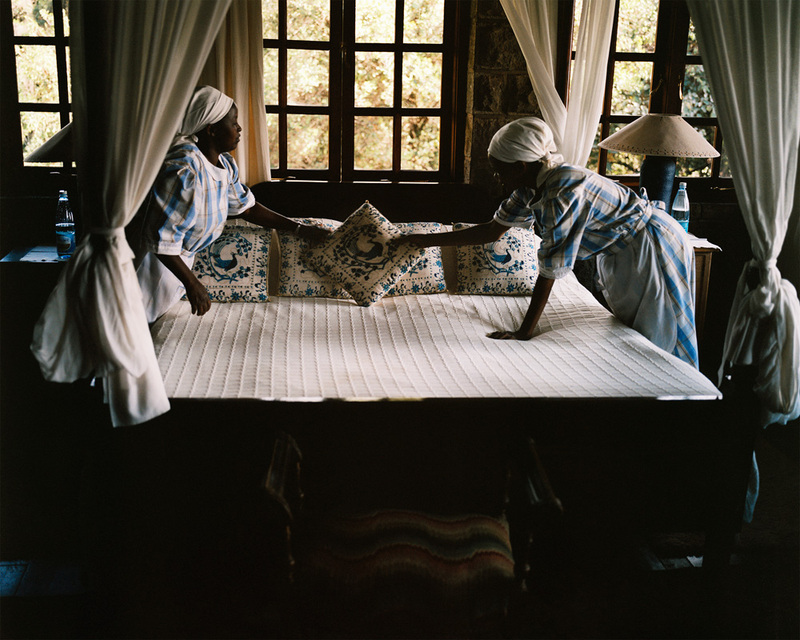 But going back to Mikhael Subotzky’s work from South Africa, I remember the day I first day that I saw that image, 10, 11 years ago. It is an extraordinary photo. This sort of metaphor of this tremendous upsurge of wealth being vacuumed off the floor of the middle classes into the upper reaches, while leaving crumbs to be eaten by everyone else. It suggests a sort of scrounging the ruins of the American Dream. There is an image in the book by Andrew Moore of a man in a ruined car manufacturing plant in Detroit, and it speaks to similar ideas, this idea of stripping the failed American dream from parts and wire. But to go back to this idea of communality, it’s interesting because I don’t see a communal class-consciousness rising in America. Not in the lower class, because I find it compromised by this adulation of the rich, as we saw in this election. I mean, this is a person who can brag about living this extraordinary lifestyle, but he’s separated and people have this outright mistaken impression that they will join the ranks, or be initiated to join the ranks, have the chance to attain that lifestyle. And I’ve often been in awe and felt this internal sadness about our mistaken priorities as a society and the sense that we are celebrating the wrong people. Way before I ever started this thing. It’s been with me for years. MAD: It’s this belief in myth of meritocracy, that simply through hard work and a bit of luck, we too can be among the rich and famous. It is a smokescreen, a distraction illusion that obscures structural inequality. And there’s very little thought about the common good or class cohesion. MAD: So the show is traveling? ML: Yeah, it’s about to be confirmed for its 28th venue in Padua, Italy. Honestly, I thought this was going to be one show in Oaxaca and one show in New York and neither happened for one reason or another, yet it somehow turned into 28 exhibitions and a book. I had no idea how to make a book. I had zero vision. I was totally frightened and therefore disdainful of the idea of making a book. And I just sort of—I got a lot of advice, really good advice from the photographers, Nina Berman, Guillame Bonn, Paolo Woods. It was one of the most stressful things I’ve ever done in my life. I would be walking down the street minding my own business doing, going to work one day, and I would have a fit—I would be seized with anxiety. In the morning I’d look at my teeth and any new, flat polished areas because I’d been grinding my teeth so much.